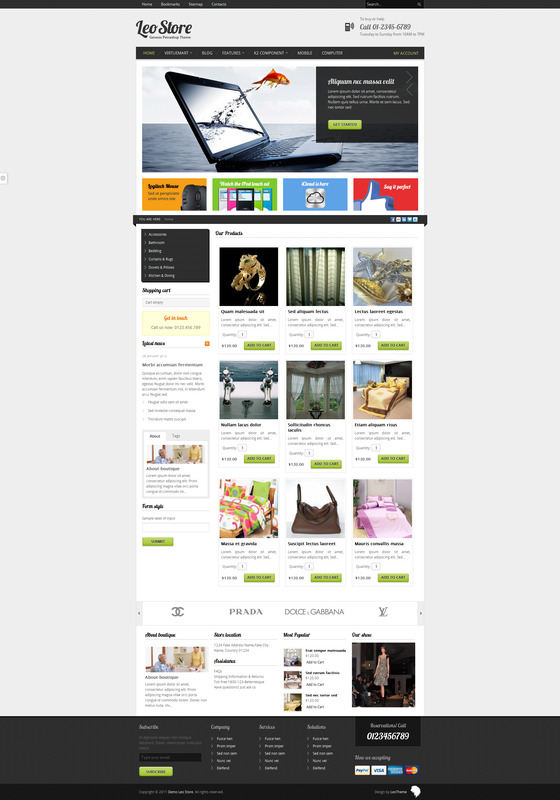 Leo Store - stylish Template for Joomla 2.5, developed by a team of developers LeoTheme. The original design layout contains light and dark theme, which in combination with 3 color schemes can give a spectacular appearance to any store. This template is designed on the framework, functional Leo Framework, which allows a very flexible layout customize each item. A key feature is the built-in template support for popular components K2 and VirtueMart, which will create a complete and high-quality site that meets all modern requirements. Leo Store has adaptive properties and is fully compatible with all browsers.